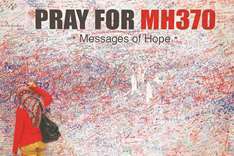 Malaysia signed a deal yesterday to pay a US seabed exploration firm up to $70mn if it finds the missing Malaysia Airlines aircraft MH370 within 90 days of embarking on a new search in the Southern Indian ocean. A Muslim indigenous community in the southern Philippines has suffered widespread human right abuses that could intensify with President Rodrigo Duterte’s extension of martial law there, UN-appointed experts said. 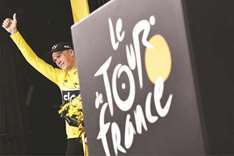 Four-time Tour de France winner Chris Froome had twice the permissible amount of asthma medication in his system during the Vuelta race in September, the UCI and his team revealed yesterday. Colombia’s lower house of congress has backed a bill to regulate transitional justice under the nation’s peace deal with Marxist Farc rebels, including special tribunals that will try guerrilla leaders for war crimes. 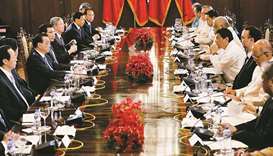 Philippine President Rodrigo Duterte yesterday heaped praise on visiting Chinese Premier Li Keqiang for what he said was China’s “critical” role in expediting the end of a five-month war with insurgents in a Philippine town. The Emir will perform Istisqa prayer at Al Wajba prayer area along with crowds of citizen worshippers. Valencia swept aside Leganes 3-0 yesterday as they continued their stunning form with an eighth straight win to close to within a point of La Liga leaders Barcelona. Doha Bank has announced new exclusive benefits and wealth management solutions to its priority banking Al Riyada customers. 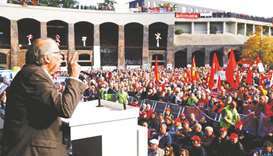 Several thousand steelworkers took to the streets of Bochum in Germany’s industrial heartland yesterday to protest against the planned merger of the European steel units of Thyssenkrupp and Tata Steel. 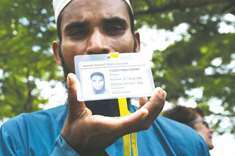 Twenty homes caught fire and a bomb was detonated near a mosque in Myanmar’s Rakhine state, the government said yesterday, the latest unrest in a region that has seen hundreds of thousands of Rohinyga Muslims flee in under a month. 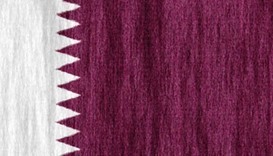 The State of Qatar has participated in the first summit of the Organization of Islamic Co-operation (OIC) on science and technology, currently being held in the Republic of Kazakhstan. 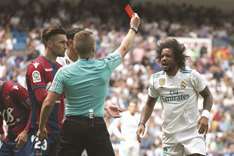 Real Madrid paid for the absence of Cristiano Ronaldo and a series of missed chances by Gareth Bale as they were held 1-1 at home by Levante on Saturday.